← NASA’s Insight Spacecraft Lands on Mars: What Could Possibly Go Wrong? First of all, I promise that not all my blog posts will be NASA-inspired, but let’s face it: NASA is awesome. Space is awesome. We are all stuck to a giant rock circling a gianter fireball that is the center of one of billions of galaxies. So basically, there’s a lot to say. 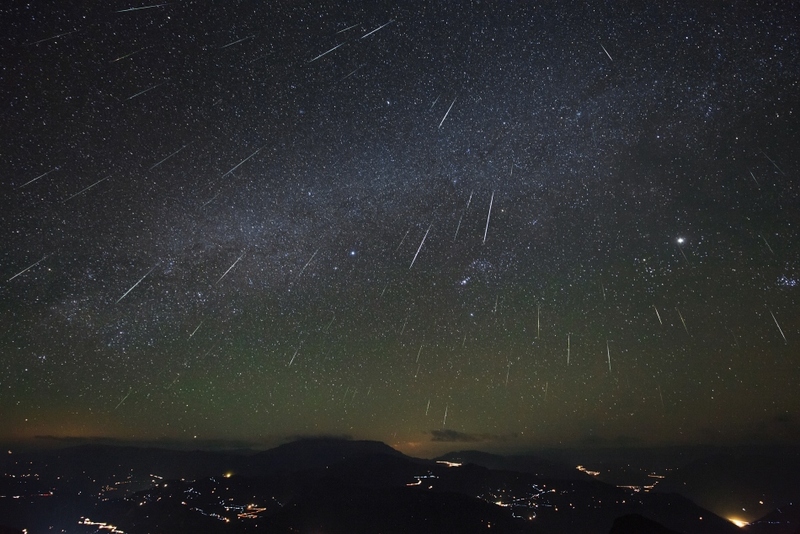 Anyway, NASA reports that tonight is the annual Geminid meteor shower, and stargazers can watch meteors streak across the sky as they enter Earth’s atmosphere. While you’re out there admiring the marvelous spectacle, rest assured that it is exceedingly rare for people to be struck by meteorites, and try not to think about how the dinosaurs were likely wiped out by an asteroid. Instead, think of that obviously-true story where that guy gained super powers after being hit by a meteorite. It could happen.